Happy 2014! What a great way to start the year, than to have Wendy McClure as a guest on the Red Sofa Chats. 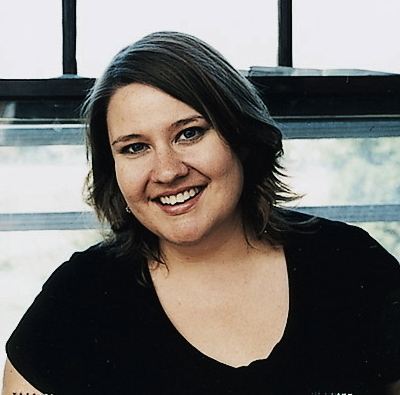 She’s an author and an editor, bringing a smart, fun, and quirky) eye to the publishing table. Wendy, thank you for joining the Red Sofa Chats! n and Company, where she acquires and edits picture books, middle grade, and young adult fiction. Her recent projects include the Edgar Award-winning series The Buddy Files, The Boxcar Children Beginning by Patricia MacLachlan, and the acclaimed YA novel Being Henry David. She lives in Chicago with her husband. Her newest book is the middle-grade novel Wanderville, the first book in a new series, out this month from Razorbill. After getting my MFA in poetry, I was in my mid-twenties and flailing around; I had just figured out that I didn’t want to teach. Really, I stumbled into publishing—if I’d chosen to pursue it, I guess I would have moved to New York. But since I was in Chicago, my search for “any job that sort of uses my English degrees” led me first to a textbook publisher, where I became familiar with children’s literature, and then to Albert Whitman. All I knew was that I loved being around books. And The Chicago Manual of Style was fascinating to me: all these rules and terms and proofreaders’ marks—I think it appealed to my poetry sensibility and my love for form. I suppose editing has made me a different kind of writer—honestly, I think being an editor is what kept me writing in the first place. I was so young when I got my MFA; I had ambition but no real work ethic. Working in publishing gave me so much perspective on rejection, the value of persistence, and the business of being creative. 2. Are there any projects you wish you could have edited? It’s funny, I don’t really feel that wish-jealousy with editing. There are tons of things I wish I’d written (Eleanor and Park for instance), but with editing it all feels sort of fateful the way projects come—or don’t come—to me. Every now and then there’s a “manuscript that got away” that I’ll think about, but eventually I decide that the getting-away is just part of the preordained plan that will lead me to a better manuscript. I have two accounts: my own, @Wendy_Mc, and @HalfPintIngalls, where I’ve been Twitter-impersonating Laura Ingalls Wilder since mid-2008, tweeting things like, “So bored right now I’d butcher a whole hog just to make a balloon from its bladder and play with it.” I started it even before I decided to write The Wilder Life, and mostly I was tweeting to amuse myself. Twitter Laura wound up with around 10,000 followers by the time the book launched, which of course was great for marketing. But I think what made HalfPintIngalls successful was just that I really having a blast writing the tweets. I don’t think she would have worked as well if I’d set her up to promote The Wilder Life from the start. I think it really helps to make fun the first priority in social media. I don’t think Twitter has changed our publishing practices but I think it’s a great medium for conversation about publishing. I think hardcover publishing will become more… “artisanal,” for lack of a better term. (Someone will coin a better term.) There will be smaller press runs, and fancier production values. Self-publishing will continue to grow, with new titles flooding the ebook marketplace, and I think as a result, publishing services will evolve, so that some writers will submit their books not to publishers but to enterprises that curate content for niche markets. Maybe independent ebook publishing will flourish in a way that gives rise to a variety of online indie booksellers that will offer better reviews and more personality than Amazon; they could partner with traditional booksellers in interesting ways. I think the rise of live lit is bringing about a new era of literary events; I think we’ll see more “unprinted” authors who perform extensively and publish electronically, and they’ll exist alongside print authors. Overall, a more diverse landscape, and an incredibly exciting one.